The relentless pace of city life demands a lot from the urban dweller. Add technology overload to the equation, and you get an exhausted individual who’s desperate for downtime. Rest is vital to recharge the self; but the truth is, getting away from it all may be a tad challenging for most of us. Thankfully, mother nature has provided us with a solution that’s right at our doorsteps. Here, we explore nature’s backyard for cues on how to transform the home into a haven that allows us the precious downtime that we all crave for. The seaside has always been sought after as a place for solace and a source of inspiration. It has even influenced trends in interiors and single-handedly given rise to the coastal style – a theme that is, until today, loved for its carefree and easygoing nature. 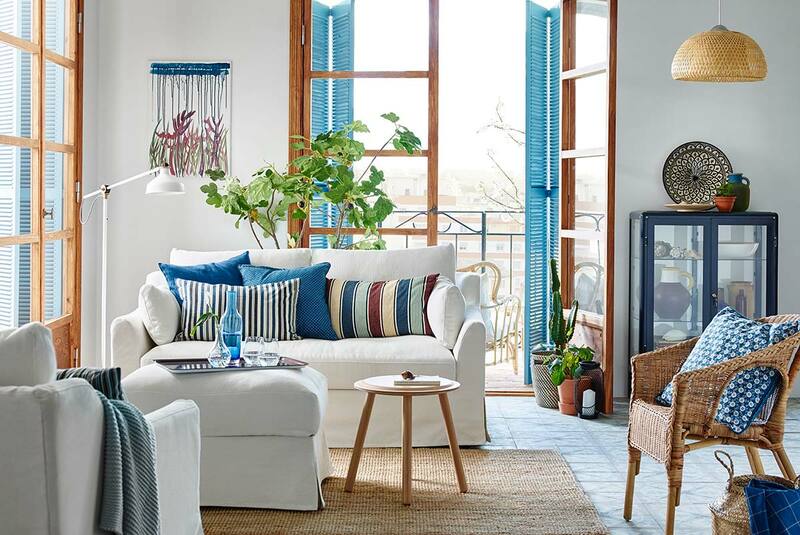 In a seaside inspired home, oceanic hues anchor the look. Colours that reflect the sea at its stillest possesses a soporific quality that instantly soothes the senses – perfect for crafting dwellings that are the very definition of calm. Accent pieces soaked in saturated shades of indigo and navy help shape a modern oasis; if you prefer a more understated take, layer muted and airy tints together. Complement blue nuances with a backdrop of whites and neutrals to let the colours pop. Akin to how coastal interiors are typically flooded with sun rays, keep yours open and free of clutter to encourage its flow around a room. With furnishings, opt for natural finishes that are (or appear) hardy enough to brave the great outdoors. 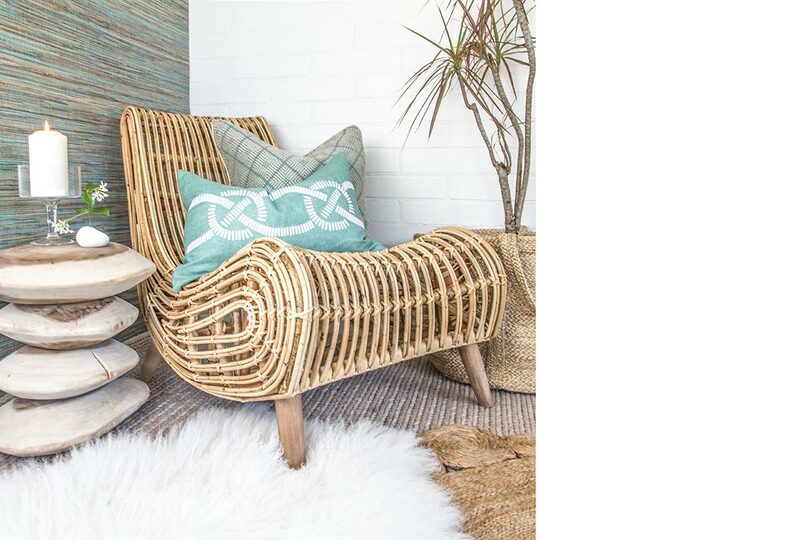 This encompasses everything from weathered wood, wicker and jute to rattan, cotton and linen. These have the best textures for stirring up interest indoors. When choosing accessories, consider pieces that are more organic in form – like a perfectly imperfect ceramic vase or a softly sculpted lamp base. They bring to mind oceanic elements such as seashells and corals washed ashore, bringing your beach retreat look to life. There’s a reason why green is dubbed the colour of life. Green spaces are rejuvenating and therapeutic to the senses. Plus, they provide us with a moment of serenity away from the demands of the concrete jungle. To experience the joys of being surrounded by nature despite residing in the city, welcome the great outdoors in with a few potted plants. 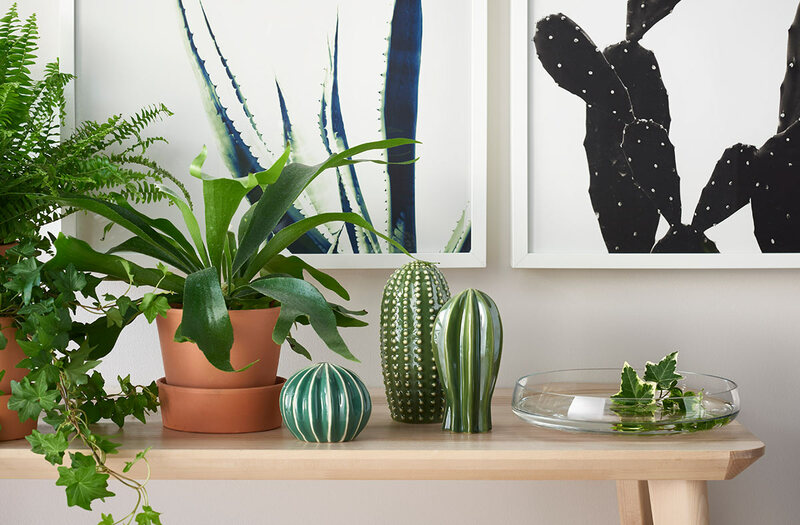 We love how botanicals can be as expressive as a work of art: a single frond looks elegant in a tall glass vase, a hanging planter with wisps of leaves trailing down feels soft and romantic, while foliage with stature makes a sculptural statement. If you’re not much of an urban gardener, seek the fuss-free faux alternatives or explore other ways of working lushness into your interior. 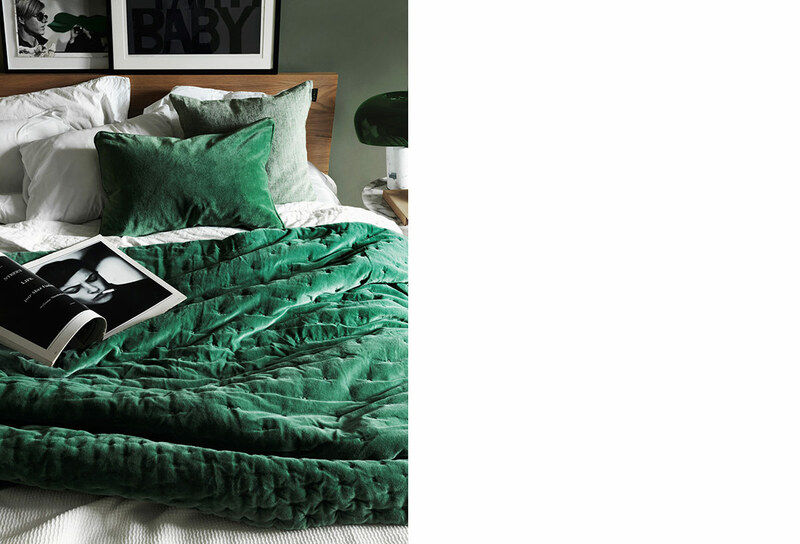 For instance, an olive toned velvet sofa, a daring emerald-hued headboard or a feature wall swathed in dusky sage make an unexpected presence in a room. For visual consistency, inject bursts of green across the abode in the form of rugs, throws or decorations. But don’t just stop at solid shades. Take references from the world of botany and surround your dwelling with foliage or floral motifs – either through wall art, wallcoverings or soft furnishings. As hues that hold the most intimate connection with nature, earthy colours are inextricably rooted in our everyday lives, existing in the very soil and sand that we tread on. For interior inspiration, let your imagination fly further and bring the colours of natural landscapes such as the woods, deserts and canyons into your home. An earth-inspired palette offers a wide range of colours from deep and dark rustic tones to terracotta and the palest blonde oak. This makes it easy to pin down a shade that resonates deeply with you. To create a sanctuary that feels wonderfully woodsy, we prefer using wood as the core design element. Apart from its warm quality, timber also boasts a distinctive rustic aesthetic that is packed with character. Furthermore, it is easy to incorporate this material into an interior because of the many different tones and patterns available. For example, the pale-hued surfaces in an airy Nordic home might be worlds apart from the dusky shades in a Japandi styled quarter, but both are ultimately restful spaces. Heighten the atmosphere of calm within your abode by furnishing with textiles that are kept as natural as possible – like a hand-loomed rug or plain linen pillowcases. Or bring into the mix of leather furniture – the more lived-in it feels, the better it is for kicking back. The purity of white – the colour of light – unclutters and induces calmness, making it the perfect hue for creating tranquil interiors. There’s an art to pulling off this clean design aesthetic without going overly cold and stark. 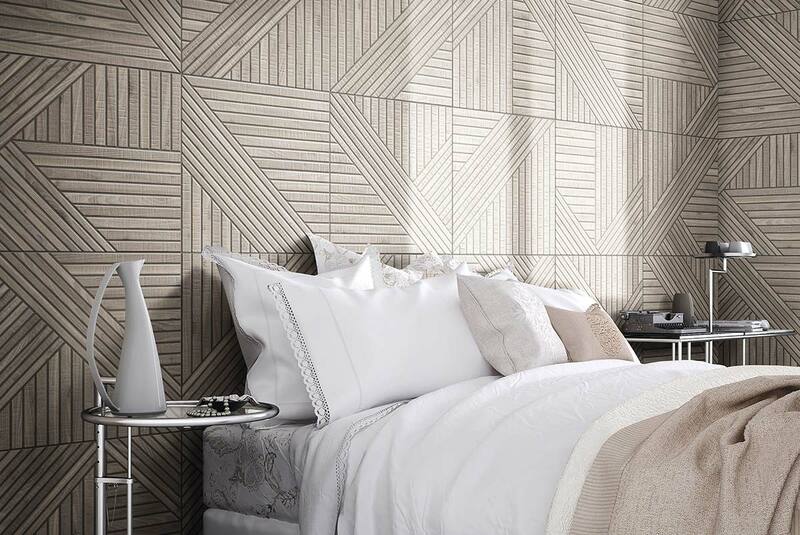 When it comes to designing simple spaces, pick furniture pieces and accessories that are texture-rich. Mix sumptuous textiles like velvet and knits together with natural materials such as linen to create an inviting atmosphere. 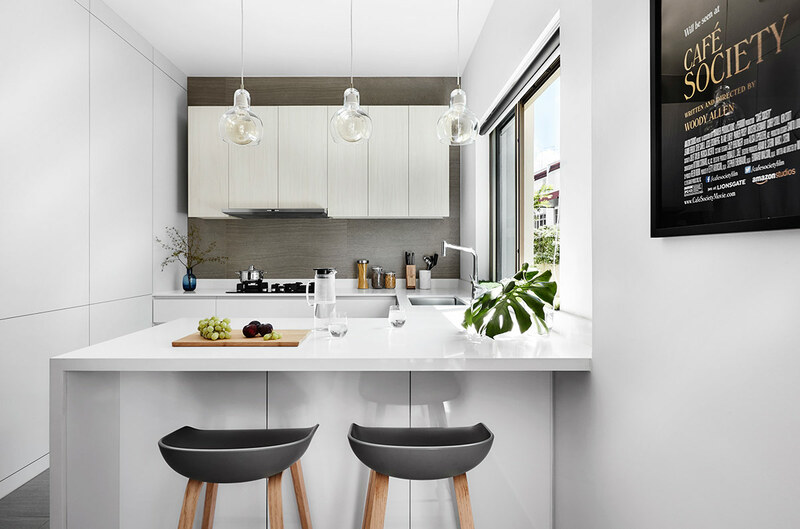 Take note that not all whites are made equal – spark interest in your ivory infused home by using nuances of white tones through a combination of paint, furnishings, decor and accessories. Pick from creamy hues to icy tones. 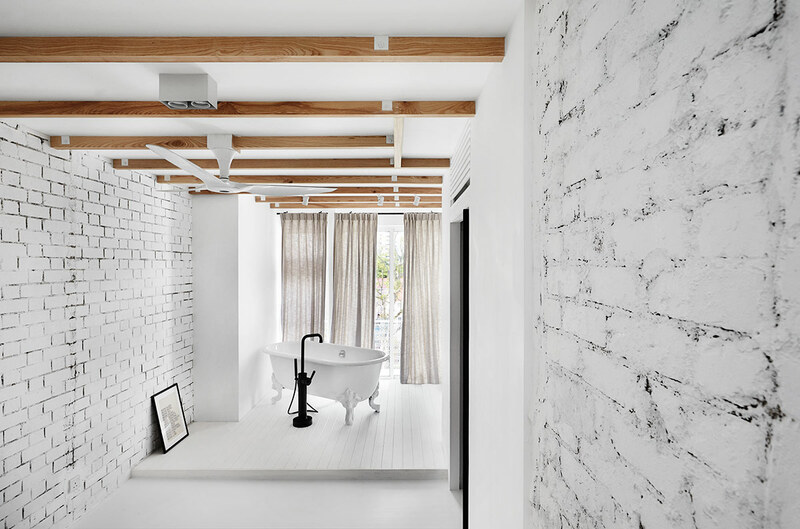 Although colour is used sparingly in an all-white abode, don’t be afraid to bring other elements in. 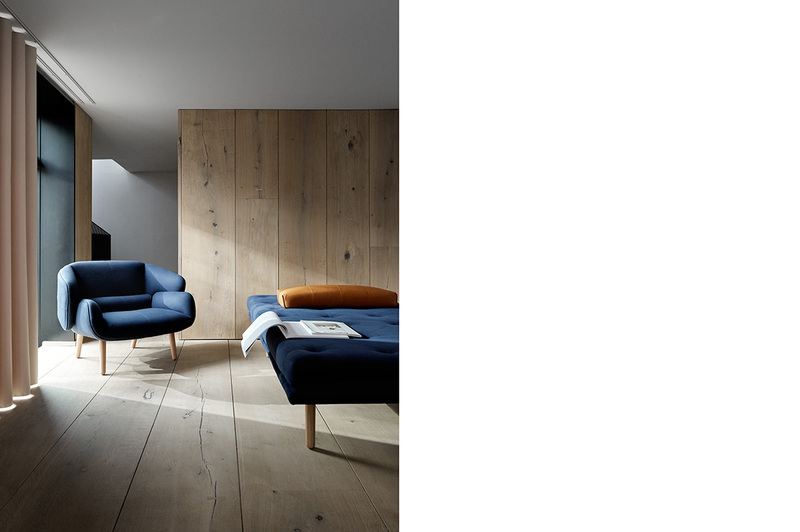 Wood, for instance, helps to warm up the pale space, while metals give depth and dimension. Greenery also acts as a lovely counterpoint to an otherwise sterile setting, bringing with it a dose of vivacity into the indoors.